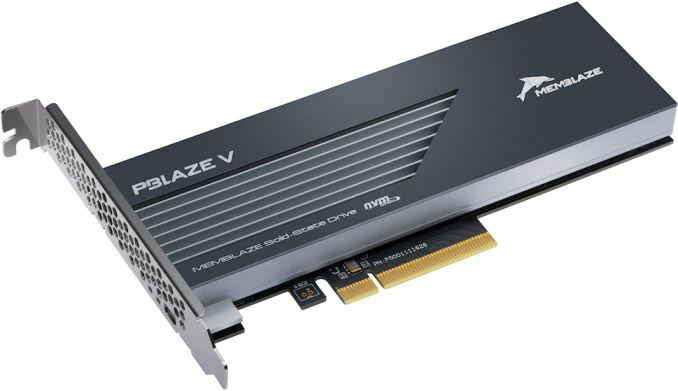 The Memblaze PBlaze5 700 and 900-series SSDs are based on Microsemi’s Flashtec PM8607 NVMe2016 controller that features 16 compute cores, 32 NAND flash channels, and supports everything one might expect from a contemporary SoC for server SSDs (LDPC 550 bit/4KB ECC with a 1x10-17 bit error rate, NVMe 1.2a, AES-256 PCIe 3.0 x8/PCIe 3.0 x4 dual-port, etc.) along with a host of enterprise-grade features. Memblaze further outfits the card with their own MemSpeed 3.0 as well as MemSolid 3.0 firmware-based technologies. The MemSpeed 3.0 feature better ensures consistent performance and QoS, and comes with further priority que management optimizations over the previous version. 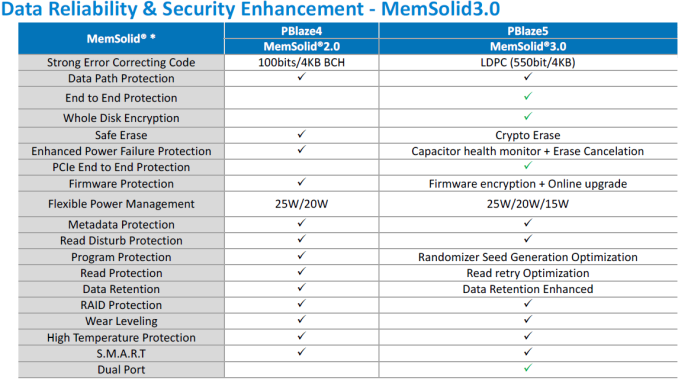 As for the MemSolid 3.0, it is a stack of reliability and security features of the PBlaze5 900-series drives, which we are going to touch upon later. By contrast, the PBlaze5 900-series drives are aimed at mission critical environments (databases, financial transactions, analytics, etc.) that need enhanced reliability. 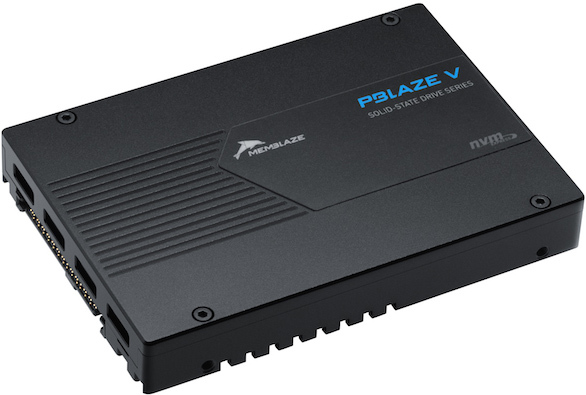 In addition to extended error correction code (with a 1x10-17 bit error rate), the PBlaze 900-series also supports T10 Data Integrity Field (DIF)-compliant end-to-end data path protection, which results in a Silent Bit Error Rate (SBER) lower than 10-23. In addition, the 900-series takes full advantage of all MemSolid 3.0 enhancements offering features like crypto erase, background scan protection, firmware encryption (one of the first SSDs to support this feature), whole disk encryption, metadata protection, read disturb protection, dual-port capability (U.2 drives only), and so on. For those who need to precisely manage the power consumption of their SSDs, the MemSolid 3.0-based drives offer distinct 15, 20 and 25 W modes. 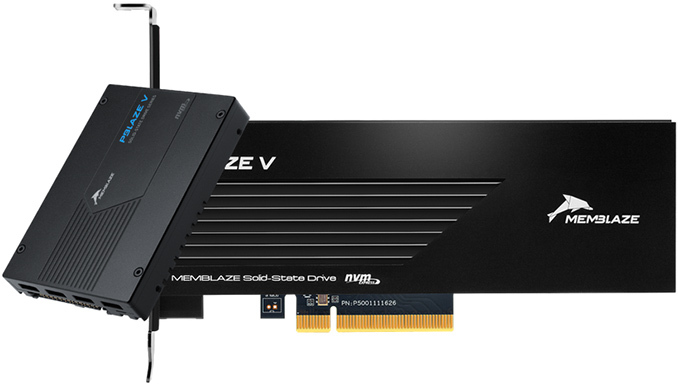 As for endurance, Memblaze guarantees 3 DPWD over five years for its PBlaze5 900-series SSDs.